Are you serious about getting hired or promoted? Do you want to help a student, friend or family member find a new job? 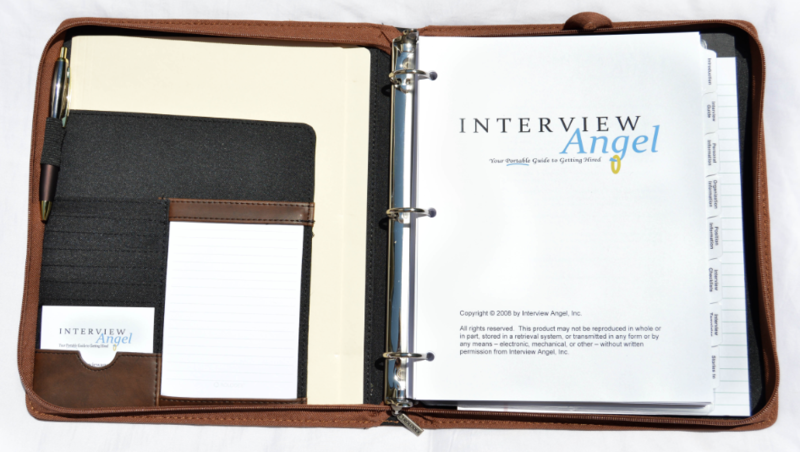 Interview Angel is a career toolkit I designed to help job applicants shine in interviews. It is actively used in the marketplace by students and professionals who are serious about getting hired. Specifically, it is system that job applicants (at any stage of their career) go through in preparation for a job interview. The finished product then comes into the job interview with applicants to help them stay focused and confident. The information, guidelines and instructions found in the Interview Angel package take interview preparation to a new level. Giving both direction and focus, it’s easy to use, yet extremely effective. The interview for your “Dream job” will only happen once. Do not take chances, use Interview Angel. Even though over the years I interviewed for many positions and was a hiring manager at two Fortune 100 companies, I never realized how unprepared I was for job interviews until I started working with Interview Angel. With Interview Angel, you have an organized approach to job interviews, including interview preparation about the company, the position, and the interviewers. Brent also includes the questions you should ask interviewers. One of the most important facets of Brent’s Angel is his selection of topics/questions for which you prepare “Stories to Share” following the SOAR approach (Situation, Objective, Action, Result). In one interview, the interviewer asked 10 of the 12 questions, in nearly the same sequence, as the “Stories to Share” found in Interview Angel. Having completed these “stories” following the SOAR approach and practicing, the interviewer was impressed with both my answers to “his questions” and the ease of following my answers. I was interviewed for four positions after completing the Interview Angel; each of these resulted in a job offer. Brent has created an invaluable resource with Interview Angel. When I received my copy, I couldn’t put it down. I felt enlightened, inspired and empowered after reading it. This is more than a fabulous product; it’s a treasure. For the past few years, I’ve become a job search advice junkie — I subscribe to a ton of blogs, follow all kinds of experts on Twitter, have read quite a few interview self-help books, etc. NOTHING can compare to Interview Angel. It is the indispensable, must-have resource that job seekers NEED so desperately right now. Brent has skillfully combined everything job seekers need in order to prepare for a successful job interview in one, useful, portable package. The preparation worksheets follow a logical, sequential order for completion. Brent’s checklists are easy-to-follow and assure that no detail is forgotten in the job interview process. The information is presented in a conversational, easy-to-follow tone. It’s perfect. The MBA Program at the Robins School of Business has discovered that Interview Angel provides our students an affordable, user-friendly product that gives them step-by-step instructions to help them in their job search. It’s innovative and a low-cost career supplement that we feel can have a real impact on our students’ careers. When looking for a job, there are three basics you need to have in your job search toolbox…A) Resume B) Cover Letter and C) Interview Angel. While we all know that a resume and cover letter will get your foot in the door, a great interview will seal the deal on landing a new job. Since I have began using Interview Angel, I feel more confident and prepared for interviews with hiring managers and recruiters. In fact, one recruiter who interviewed me was so shocked by the way and manner I handled myself during an interview. She afterwards stated that she never had a candidate who interviewed so well. I have managed staffing for over 10 years. In my experience, Interview Angel is the best tool I have seen to provide job seekers with a precise roadmap to interviewing success. Interview Angel takes you through a progression of easily understood steps that ultimately prepare you for any interview scenario. Using Interview Angel works. Additional testimonials from professionals who have used the product are available for public reference on my LinkedIn profile under the position “Instructional Designer, Interview Angel Inc”. 3. Complete Interview Angel guide, worksheets, templates, and checklists (all content is available for additional download at no charge from the website via product issued password). Total system is 112 pages in length. The full product version is ordered in volume and has been used by universities, public school systems, non-profit agencies, government workforce centers, and businesses going through layoffs. Bulk orders can be also be branded for organizations with a customized high definition color logo on the opening page in heavy card stock weight. The full product version manufactured for organizations is available at $97 per system. Please use the contact page for any Interview Angel product inquiries. A professional who is seeking a job at $50,000/year and is unemployed every 4 hours. A student who is seeking a job at $25,000/year and is unemployed every 8 hours. In response to requests from individual job seekers, a digital version of Interview Angel is now available for immediate download. The digital version for individual orders is available today for only $45. 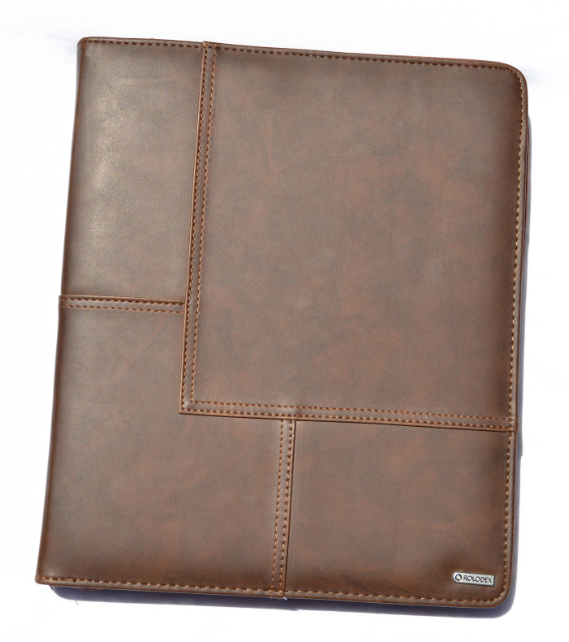 The digital version matches the entire core content (82 pages) of the professional padfolio product that is branded for organizations and delivered nationwide. The digital version is recommended for individual customers worldwide who are serious about getting hired or promoted. All worksheets, templates, and checklists are in pdf format for both versions, and can be saved with changes using a free Adobe Reader application.